David grew up in Southeastern Idaho and graduated from high school in 1984. He attended college at Ricks College and BYU Provo. His wife and five children lived in Washington State, West Yellowstone, MT., Branson, MO., and moved to Alpine from Carthage, IL. in September of 2015. It is good to be so close to home and their families. He worked in the hospitality business since 1993 and is currently employed as the Resort Manager at the Flying Saddle Resort. As the Resort Manager, he oversees all departments including Rooms, Housekeeping, Liquor Store, Gift Shop, Bar, Restaurant and facilities. 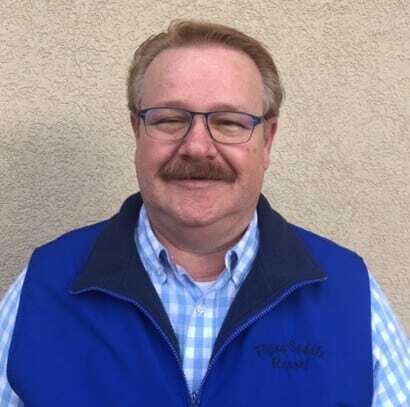 He currently volunteers with the Boy Scouts of America and as a board member of the Star Valley Chamber of Commerce as well as a current board member of the Alpine Meadows Improvement Service District.